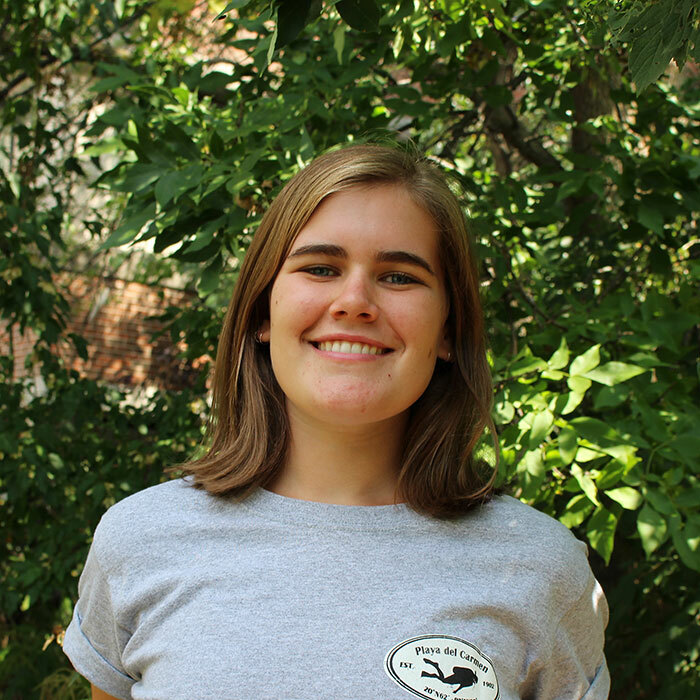 This post was written by Christina during her 4th year in the Environmental Management stream. York’s EcoCampus is located in a biological corridor in central Costa Rica, about a 30-40-minute drive from the city of San Isidro. The campus is one building on a large forested property that has a bunch of hiking trails, most of which cross the river at the base of campus- the best hike is the one that takes you by the waterfall! 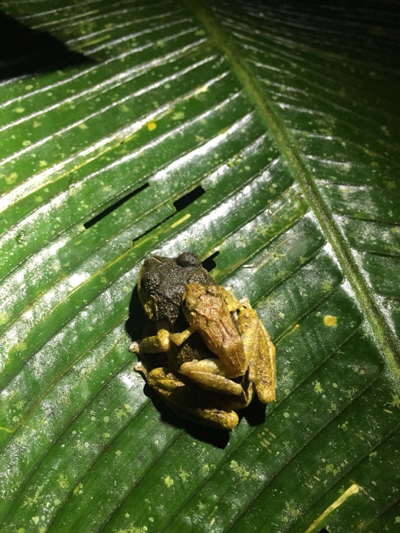 I took two courses during my Semester Abroad, ENVS 4120: Natural History with Prof. Leesa Fawcett, and ENVS 4446: Protected Area Management with Prof. Sheila Colla. Both were 10 days long, with one day in between them. The day in-between I stayed at my first homestay’s house watching FIFA with my homestay family. Natural History was my favourite of the two courses (Purely in my opinion though, they were both great courses). In Natural History, we learned about the ecology and ecosystems of the landscapes around us, the cloud forest, integrated farming at local farms, big scale farming by companies like Demonte, and we even had a two-day trip to the Pacific coast to learn about mangroves and seascapes! We did a lot of outdoor learning, including a daily hike around campus and field trips. 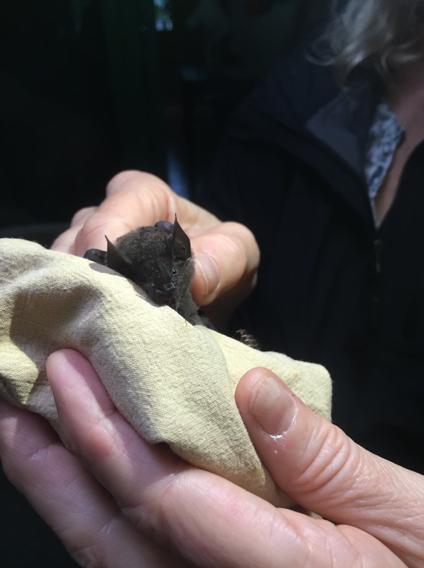 These included visiting a local farm that’s practicing integrated farming, visiting Los Cusingos- a local protected area and bird sanctuary where we did orchid hikes and learned about bat monitoring. The two day trip to the Pacific coast was jam packed with amazing adventures. We visited Marino Ballena (aka the ‘Whales Tail’), a marine protected area, where we had impromptu marine biology lectures by Leesa Fawcett while exploring tide pools and finding little sea critters on the beach like sand dollars. 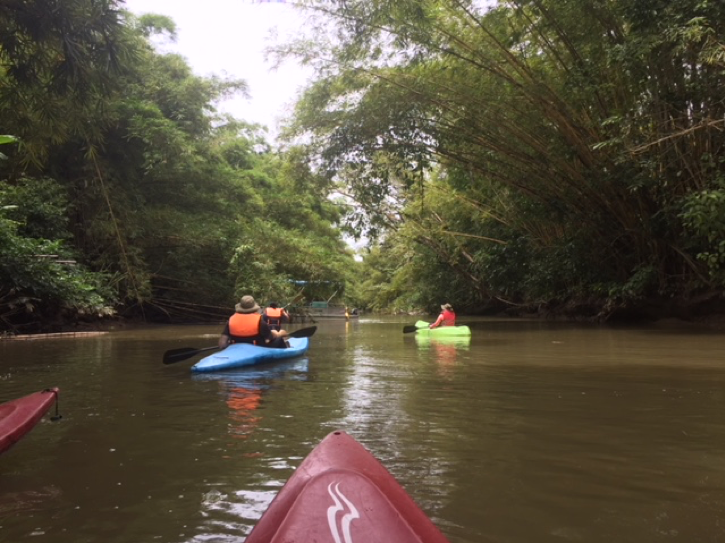 We also had a three hour kayak trip down the Sierpe river to the mangroves near the ocean, we saw boa constrictors, iguanas, white faced monkeys, titi monkeys, king fisher birds, cranes, scarlett macaws, bats, and three crocodiles! This was definitely a highlight of my trip. We also got to do a hike on the coast to a hidden beach, and were able to see thousand year old trees and explore caves. In Protected Area Management with Prof. Sheila Colla we learned a lot about the relationship between land use and protected areas, and the challenges that come with having or creating protected areas. We did daily hikes and lots of field trips in this course as well. 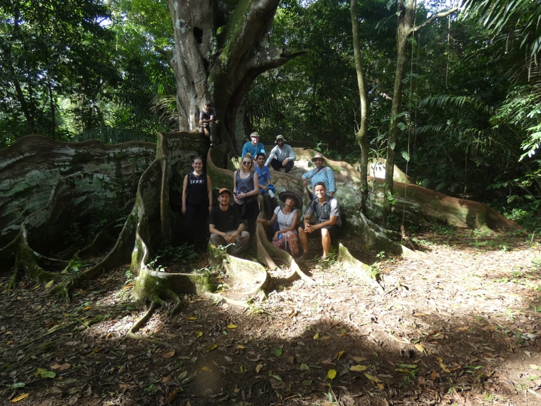 We travelled to the Pacific coast and visited the beach and a few protected areas, at one of which- Hacienda Baru- we saw 7 sloths (!!! ), nesting herons, and iguanas. 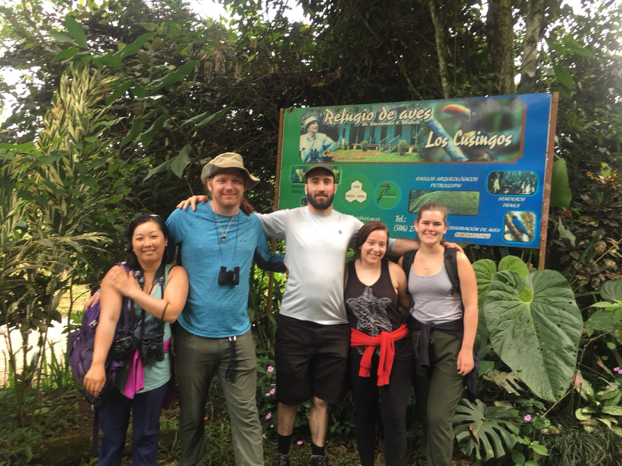 We also visited Cloudbridge Nature Reserve- where we learned about the relationship and struggles between Costa Rican land owners and foreign researchers, and the Quebradas watershed- where we learned about the efforts to protect the landscapes feeding the San Isidro watershed, we also got to swim in a waterfall there! I did two homestays while I was in Costa Rica, one for each course I did. A homestay is a local family that you live with while you’re participating in the Semester broad. You will not be living with them alone; You’ll have at least one other student living with you per homestay. You live with them, have meals with them, get to know them, and they truly become family to you. I still keep in contact with mine, sending them presents and messaging them all the time. My first homestay was Viviana and Raymond’s home, they have four kids, the youngest is Ilana who is 2, Ivan, Kayla, and the oldest- Kevin- goes to college in San José. My second homestay was Maillett and Sharky’s home, they have a 5-and-a-half-year-old daughter Liah and were pregnant with their second daughter Khloe while I was there. Liah is my little buddy: We played together, I taught her how to make paper cranes, and she would often give me impromptu tours of her family’s property and show me Lula their cow- who was also pregnant while I was there. Your homestay families are the nicest, most generous people you will ever meet; they really care about you and make the experience so much better. I would highly recommend the Semester Abroad to everyone who can go. They make it very easy for anyone who hasn’t travelled a lot to be comfortable with the process and enjoy their time there. It’s truly a life changing experience that you won’t forget! You meet so many different people, get closer to you classmates and professors, and you'll have experiences that you’ll never be able to replicate, all while learning in one of the most biodiverse countries in the world!